The environmental benefits of renewable energy and solar power are well known. Invest in Genius Energy Solar units. Know that you are contributing in a positive way to a cleaner and greener environment. Genius Energy is unitised ownership of renewable energy generation on a large scale solar farm. At Genius Energy you harvest the sunshine with your Genius (solar panels) so all the electricity produced is yours – just as if you had installed panels on your home – but with the added advantage that the Genius Energy goes with you – wherever you go and wherever you live. Your Energy Future is as simple as investing today. By using the unique benefits of Fractional Investment Ownership individuals and super funds can now go into the electricity generation business. Who should invest in Genius Energy? If you or your business is a consumer of electricity, then you can own a Genius and receive the benefits of producing your own clean energy. And let’s face it, who does not consume electricity these days? Electricity is the oxygen of the modern economy. Everything our economy does relies on electricity, including the technology you are using to read this website! So be part of the transition to a clean future, by powering yourself to a clean future. Homeowners living in areas with sub-optimal solar energy generation potential – eg coastal areas with high average cloud cover. What is the Return to Investors? Your own the solar panel generation for a lifetime. If you would like to invest in the Genius Energy – Solar Farm project, you can join this crowdfunding campaign by completing the application and lodging your investment funds through this General Advice page. Please ensure that you first read the DomaCom Fund’s Product Disclosure Statement (PDS). For a copy of the current PDS, please click here or call your financial adviser. 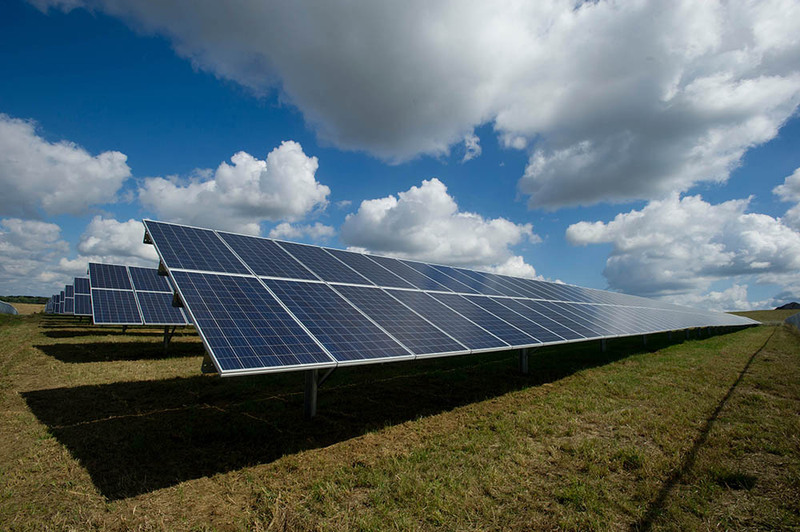 When you have lodged your bid and the campaign is filled, you will also receive a Supplementary Product Disclosure Statement (SPDS) outlining the specific offer to invest in the Genius Power – Solar Farm project which will contain all the information required for you to make a decision. You are not bound to proceed with your bid amount for this Genius Power – Solar Farm project crowdfunding campaign until you accept the offer contained in the SPDS (which will include the specific details for the properties).